When the weather becomes colder, especially during the fall or winter months, your immune system needs to be improved. Through this article, we will introduce you 5 natural supplements which can boost your immune system effectively and help you reduce the severity of some common infections. Homeopathy has the ability to heal your body naturally if you know how to use it, and there are no side-effects while using this supplement. This herbal remedy is so great for you to choose. You know, homeopathy approach our bodies through the energy, not any chemicals. That is the reason why the medicine, as well as the modern science, discounts it. Because they just want to discover the form of this herbal remedy. In fact, there are a lot of remedies from homeopathy which can help you boost your immune system. In addition, they also support you for fighting the infections. And cell salt is considered as the easiest way to use this remedy. The plant of oregano has been used for both medicinal and culinary field effectively. We can use the oregano in many ways. For example, you can use them fresh or dry them, then add them to your meals. They will make your dish become interesting flavors and also improve your health. With the aid of a lot of phytonutrients, especially the powerful phenols, oregano is a great supplement for our bodies. However, the values of kinds of oregano are not the same when referring to the function of boosting the immune system. This kind of plant includes nearly 40 species in their family. Among them, origanum vulgar or wild oregano which comes from the regions of Mediterranean is the most effective kind to help your immune system. 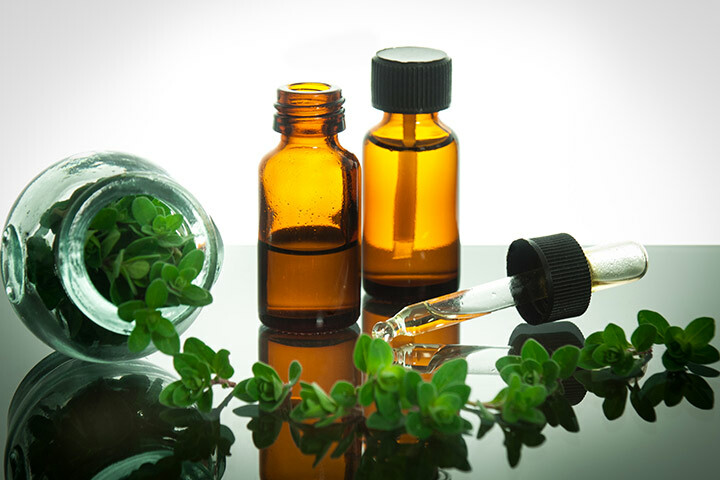 The oil of oregano helps you work against bacteria, viruses, fungus; boost your immune system and is an antioxidant compound as well. The oil has a great effect on the thin tissues, for example, your mouth. So a lot of people usually take some drops and mix them with water. Silver hydrosol is in liquid form which contains microscopic silver particles. Silver consists of properties which help you ward off the bacteria, viruses as well as fungus. Silver is believed as a great mineral to our bodies, including a disinfectant, regenerative, preservative agent, an immune support compound. People know the silver hydrosol as the natural antibiotic. This compound used to be refuted in boosting the human immune system. They said that it is not effective and dangerous as well. But today, silver has the second chance to the medicine field. People use the colloidal silver to solve the burning wounds and improve the immune system. For centuries, the parts of Echinacea have been used as the immune support compound for Native Americans. One research of the University of Maryland Medical Center says that this plant can help the humans’ bodies a lot. For example, it can support you for boosting the immune system, relieving pain, reducing inflammation, and have a great effect on antioxidant. Echinacea is used to treat and work against a lot of problems. Through the research, the popularity of this plant becomes wider and wider until today. You can find this herbal compound available in a lot of places, such as pharmacies, health food stores, drug stores or some companies related to the health. The plant of olive provides us a lot of benefits in the medicinal and culinary field. The leaf or the fruit of the olive plant include a lot of powerful phytonutrients which are considered as the healing as well as a preventative supplement. The olive includes a powerful substance which is called oleuropein. Since the 20th century, this thing has been claimed through studies. With the aid of this compound, the leaf of olive helps us to work against bacteria, viruses. There are a lot of benefits of the olive leaf, such as: improve the system of immune, reduce the antioxidant process, and relieve fevers with the aid of antipyretic properties. The researchers from Australia claim that the effect of the olive leaf is 40 times greater than the olive oil. This is one of the most effective natural supplements you should concern. Each of these 5 natural supplements supports greatly for the humans’ immune system as well as the health. In addition to using these supplements, you should have a reasonable diet and practice exercises regularly. If you do not have time to go to the gym, let’s buy a machine to practice at home. One of the effective machines which support you for your immune system is the rowing machine. Let’s have a look at the rowing machine reviews in order to choose the best one for you. Stefan - My name is Stefan. My passion in life is trying to help others stay healthy and enjoy the life. With 8-year experience in healthcare, nutrition, I am providing comprehensive solutions for gaining weight, losing weight and training your stamina or consulting services that help you to have a healthy lifestyle. A useful article, hope we stay healthy to enjoy life!!! Thank you; me as well!! !